One of my paintings was accepted into the Northwest Pastel Society’s 2018 Annual Member Exhibition, the show will be up at Evergreen Health Medicial Center in Kirkland, Washington from October 20, 2018 through January 9, 2019. There’s a reception on Saturday, October 20 from 1 to 3 p.m. If your’e near Kirkland, WA this Saturday afternoon, please stop by. And if you’re in the area between Saturday and January 9 stop by to see the show. Saturday, Oct. 20, 1–3 p.m.
Two Bartletts, 5x7. 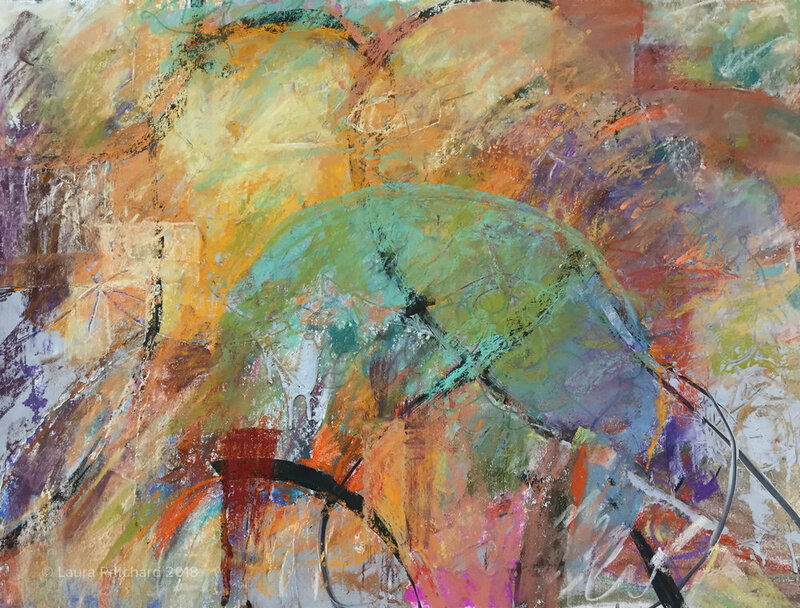 Accepted into the 2018 Pastels USA show! I had played with setting up an easel and a box of pastels outdoors before, but this June signed up for a workshop with Kim Casebeer. We set up in the Dundee Hills at the studio of another pastel artist with beautiful views in every direction. It was very challenging! I did just one painting then gave up on it for this time, next time I'll be a little more ready for it. In the meantime I've set up closer to home a few times, and will continue to do that.